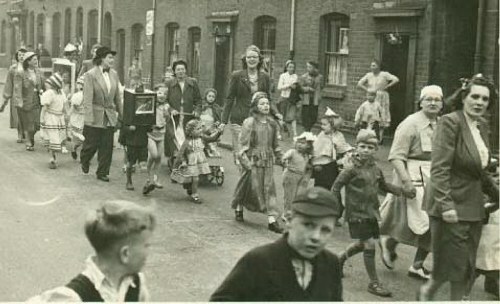 Winson Street Coronation Celebration in 1953, the Children’s Procession walked through the local streets, this was taken as we walked along Cape Street, I am the little girl dressed as Red Riding Hood carrying the basket, holding my Mum’s hand, my Mum had made my costume ( I was two & a half at the time ). 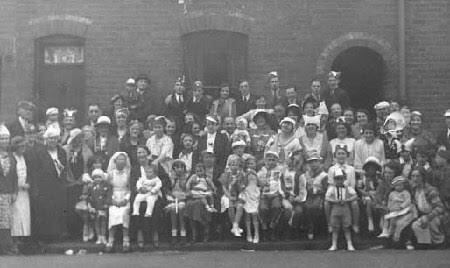 The party for the part of Winson Street we lived in centred on the Bellfield Pub, all the children were given commemorative bibles. 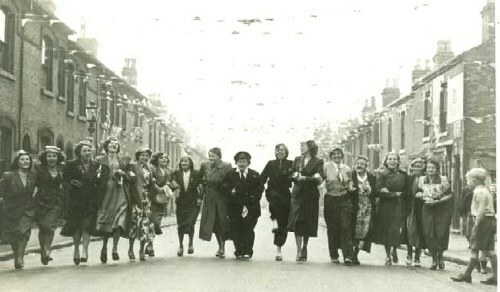 A big thanks to Lin and I'll be posting photos of the party in Handsworth later today!